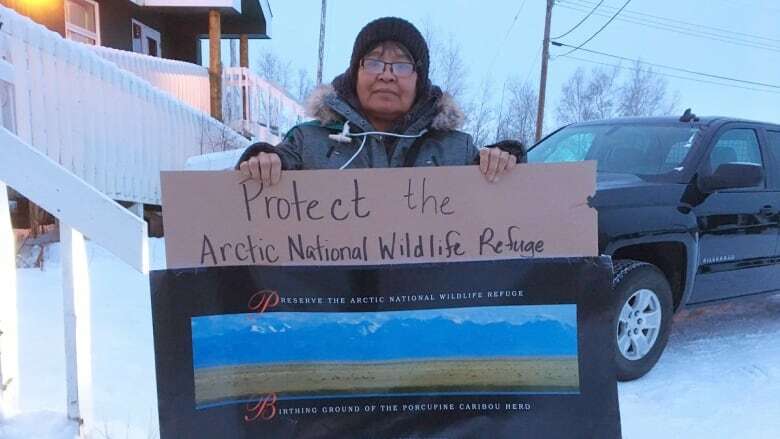 About 50 protestors gathered in Fort McPherson, N.W.T., to protest the possibility that the Arctic National Wildlife Refuge may be opened to drilling for oil and gas. Protesters in Fort McPherson, N.W.T., gathered Tuesday afternoon to demonstrate against opening Alaska's Arctic National Wildlife Refuge to oil and gas development. A United States budget bill that would allow for exploratory drilling in the region was initially approved in the U.S. House of Representatives on Tuesday, but three provisions of the bill were ruled by Senate staff to not comply with Senate rules. Another vote will be required Wednesday. The wildlife refuge includes calving grounds for the Porcupine caribou herd, considered by the Gwich'in of Northern Canada and Alaska to be essential for food and spiritual sustenance. "ANWR [the Arctic National Wildlife Refuge] is not up for negotiation," said Elizabeth Vittrekwa, Fort McPherson mayor and board member with the Gwich'in steering committee. "That's exactly how the Gwich'in people feel. If they want to go in there, there's going to be people standing up and saying no … that cannot happen." 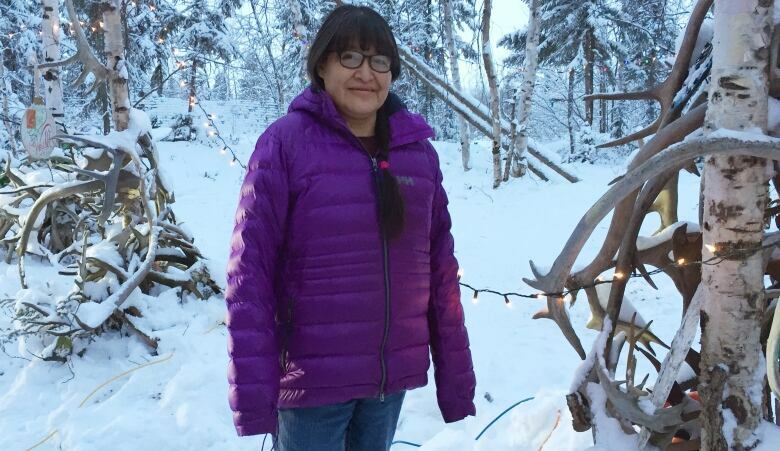 Wanda Pascal, chief of the Tetlit Gwich'in Council, keeps her front yard in Fort McPherson decorated with caribou antlers. "The reason I do this is to have the resemblance of the caribou in my yard, to protect these trees and to show how much the caribou means to us," she said. "We survived on the caribou for generations, even way before my time. We the Gwich'in along with the Yukon and Alaska [Gwich'in] survived off the caribou. "We have to protect it for our future generations."